In order to accurately track sleep stages, brain waves need to be monitored. The most common tool used for this purpose is an electroencephalogram (EEG), which records electrical activity of the brain. Several different commercial devices exist, each ranging in prices and accuracy. The purpose of this section is to describe why EEGs should be used, which ones the community recommends and even how to make an EEG at home. There are many different sleep trackers on the market. Several of them have a very poor accuracy (specified in sections below), so this section is aimed at people interested in tracking their sleep stages and showing what the community recommends you buy and avoid. Most commercially available devices only report the total amount of sleep but don’t report the specific sleep stages (NREM1, NREM2, SWS, REM). When they do report those sleep stages, they often limit them to a subset like “light sleep” and “deep sleep”. Some of these products have very little independent research to back up their accuracy claims. Comparisons have been made with scientifically supported accurate EEG devices within the community when no research could be found regarding the accuracy of the sleep trackers. The accuracies displayed in these sections refer to the accuracy of determining specific sleep stages. Comment Some are good at determining when you sleep, but they are very inaccurate at specifying sleep stages. Comment Very bad at giving accurate data. Comment The study analyzing the accuracy of the ring categorized NREM2 and NREM3 in the same category, thus artificially increasing the supposed accuracy of the ring. Tests made by people in the community confirmed that the ring was very bad at giving accurate data. 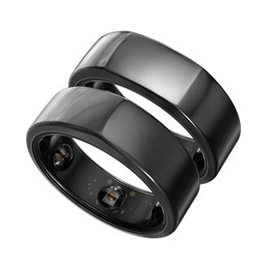 The Oura ring 2 and 1 have the same accuracy. Comment The only way to get your hand on a Zeo has been through second-hand sellers ever since the company went bankrupt in 2013. It is still a very good and accurate choice for tracking your sleep. 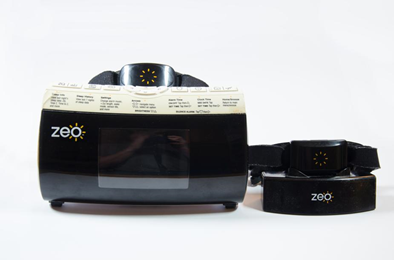 More information of this product is available in the Zeo page. Comment A semi DIY-solution. It can be a bit of a hassle to set up but once it is finished the accuracy of the device can become very high. More information of this product is available in the Olimex page. Comment The graphs are very hard to read, and the accuracy is questionable, but if you have the money and are unable to find another EEG then it could be an ok solution. * A study presented on the Dreem website made to determine the accuracy of the tracker based their whole conclusion on how accurately it tracked SWS and assumed the accuracy regarding the other sleep types, completely disregarding actually measuring light sleep and REM sleep4. It is therefore possible that it tracks SWS well and the other sleep stages very poorly. Comment While the community has not tested the product it does not have good Amazon reviews. It has a bad accuracy, it is hard to get a good signal from it, it has a bad battery life and so on. 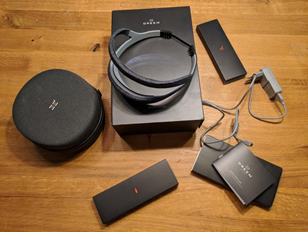 The fact that the company is lying about the device being the first EEG in the world that uses advanced sleep staging, while not linking to a scientific article describing the accuracy should be somewhat telling why it is a disliked product. The Neuroon was worse at determining total sleep time, wake after sleep onset, the number of awakenings, sleep onset latency, and sleep efficiency than the Fitbit5. It was also bad at accurately labeling sleep stages (LNREM 5%, SWS 50%, REM 5%)6, resulting in an average accuracy of 23%. SWS wakes should be avoided at all cost, because that sleep stage is usually very hard to be awoken from. Whether the nap has REM sleep or not is highly dependant on the time of the day, as well as the sleep pressure. As adaptations progress one can expect to move to the right in the line of sleep stages, starting at being awake during the naps to entering NREM1 to entering NREM2 and finally, hopefully entering REM sleep. If naps are taken very late during the day the REM – NREM2- block could be skipped over, resulting in an SWS wake. This should be avoided and scheduling naps to be taken earlier should be considered if this happens regularly. Here comes a list of features to look out for to determine what the last sleep stage achieved was. As dreams can occur in all sleep stages, but mostly do it in REM sleep, it can not be concluded with certainty REM sleep was achieved solely by the fact that the nap contained a dream. An approach to determining your sleep stage is dream recall and evaluation. This method is particularly useful to determine if a nap was NREM only, or if it also had REM in it. This method is based on the article “Slow Wave Sleep Dreaming”, by Cavallero, Corrado et. al., published in November 19928, and has also been used in a number of other articles. You can determine in which sleep stage the dreaming occoured in with reasonable accuracy by counting the amount of temporal units (TU) occurring in your dream. For REM, the average found was 5.10 ±4.14 TU, while in SWS the average was 1.88 ±1.68 TU. This means that dreams that have 4 or more TU’s are likely to have occurred in REM sleep, while dreams of 1-2TU are more likely SWS. However, the article mention similar complexity for the other NREM stages, but don’t give concrete numbers. What is a Temporal Unit? You’re talking to someone about cars, and that person’s doing the dishes. After a while, you’re talking about dogs, and then you’re going to the supermarket. Dream stops before you arrive. That dream would be 3 TU: 1: a character is responding to you, while someone else is doing an activity. Because these happen at the same time, that’s still 1 TU. 2: The topic of the conversation is changed. 3: A character is doing something that could not be synchronous with what you did before. If you’re unsure of what to make of a dream, you can consult the #dreaming channel on the discord. For more background about this method, reading the scientific paper is recommended (the paper is only 5 pages long). Electroencephalography (EEG) is a method for monitoring the electrical activity of the brain. 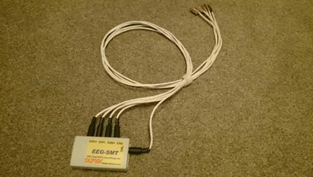 EEGs are what the polyphasic community recommend for people interested in tracking their sleep, as they are the most reliable single method using machines for tracking specific sleep stages. Depending on the sleep stage classification program the accuracy of single-channel EEGs can reach from around 70%9 to as high as over 90% when compared to polysomnograms (PSGs)10. EEGs can be very expensive, but some devices are cheaper than others. Further sections will contain information about specific EEGs. Actigraphy refers to tracking sleep with motion sensors. Many commercially available wrist worn sleep trackers and phone applications use accelerometers instead, which detect acceleration instead of motion. Both of these sensor types will be covered in this section due to similarities within the sensors. Phone applications that track sleep with only an accelerometer and/or a microphone show a poor accuracy in sleep phase detection11. Wristband trackers (Bodymedia, Fitbit) show a poor wake detection accuracy, and SleepTracker, Jawbone UP, and Basis Band have no research released to verify their accuracy, but they work with the same instruments as other wrist worn trackers, so it’s safe to conclude that they will also have a poor accuracy12. The Fitbit and Jawbone had their total sleep time and sleep efficiency over-estimated, and wake after sleep onset was under-estimated comparing metrics from polysomnography13. Most devices show similar accuracies when they were based on the same type of sensors (accelerometer, noise) or device types (phone, wristband etc). This means that the accuracy of most wrist worn devices is questionable. Studies that have specifically analyzed the accuracy of actimeters have concluded that the sleep stages are determined with very poor accuracy, where specified accuracies stated were <50%14 and 55%15. It should also be said that many studies determining the accuracy of actimeters use have relied on inappropriate statistical techniques, specifically correlations and comparison of means to determine the validity of actimeters16. Clinically available actimeters (not to be confused with commercially available cheap alternatives) are very accurate at determining total sleep times17,18. Clinically available actimeters cost a lot of money, and should therefore not be favoured instead of tracking brainwaves. Electrooculography (EOG) refers to the sleep tracking method of monitoring eye movements with sensors. Because the eye is a bit magnetic its movements can be tracked, which allows for the ability to distinguish when people are in NREM and REM sleep19. EOGs are able to distinguish between rapid eye and non-rapid eye movements with a very high accuracy (82%)20. Electrocardiography (ECG) is based on tracking the heart rate with electrical impulses. This can then be used, usually in combination with respiratory inductance plethysmography (RIP)21 or as a component in polysomnography. ECGs often use around 12 electrodes to track the heart rate of people. The accuracy of only ECGs in determining sleep stages was 41%22, and 69% with the aid of RIP21. What this means is that simply using ECGs to determine sleep stages will not yield favorable results. Polysomnograms (PSGs) monitors many bodily functions, including brain activity (EEG), eye movements (EOG), muscle activity (EMG), and heart rhythm (ECG). PSGs are used in the medical field to monitor sleep at the best accuracy possible, and are because of this often used as the baseline when comparing other tracking methods. PSGs are very expensive, but because most tracking methods use electrodes it might be possible for people to simply place the electrodes in a manner that monitor specific movements or activities in order to achieve a higher accuracy, while applying the right classification programs if they decide to build a PSG of their own. Depending on the EEG people use it might be possible to move the electrodes into such positions that for example both brain activity and eye movements are monitored simultaneously, thus yielding a higher accuracy (this is very often done as the standard setup).